Nowadays almost everyone has heard of Bitcoin - a digital payment system and self-described electronic cash for the Internet. It is the first decentralized peer-to-peer (P2P) payment network powered and governed only by its users. Nakamoto has conducted a series of experiments with Bitcoin’s software before revealing it to others in January 2009. On Jan. 3, the first ever Bitcoin block has been mined, marking the beginning of Bitcoin's existence. Later on Jan. 9, 2009, Nakamoto has released the updated 0.1 version of Bitcoin software on Sourceforge, which contained some minor bug fixes. Nakamoto has also created the Bitcoin.org website, which he used to collaborate with other developers. Satoshi remained a mystery, as he - or she - did not reveal any personal information during the entire time of cooperation with other developers. After two years of collaboration, Nakamoto has handed the leading position to Gavin Andresen and ceased all involvement in the project in December 2010. Satoshi showed up once again on April 23, 2011, when he emailed a software developer, Mike Hearn, with “I’ve moved on to other things. It’s in good hands with Gavin and everyone.” From then no one knows what Satoshi is up to. Later on, the community has grown much bigger with many developers who continued to work on Bitcoin. The Bitcoin Core project has a large open source developer community with many contributors who perform research, peer reviewing, testing and so on. But it all can’t work without maintainers, who have commit access and feel responsibility for merging patches from contributors. They also do the final checks to ensure that patches are safe and correspond to the project’s goals. There are three best-known Bitcoin Core maintainers: Wladimir J. van der Laan, Jonas Schnelli and Marco Falke. From 2010 until 2014 Bitcoin’s lead developer was Gavin Andresen. Originally he was a developer of 3D graphics and virtual reality software, and in 2010 became involved in developing products for the Bitcoin market. Soon he was noticed by Satoshi Nakamoto and chosen to be the lead developer for Bitcoin Core. Two years later Gavin started the Bitcoin Foundation to support the development of the cryptocurrency. On April 8, 2014, he had passed his duties to Wladimir J. van der Laan. In April 2013 Jonas Schnelli became another Bitcoin Core developer and the co-founder of a minimalist Bitcoin hardware wallet Digital Bitbox. He also created libbtc, a Bitcoin library written in C which is available for almost any OS. One year after, Wladimir announced Marco Falke as “the new Testing & QA maintainer for Bitcoin Core.” In his welcoming post, van der Laan praises Marco’s success in testing framework, increasing coverage and some other important abilities. Developers want to make a modern software. Avast number of updates have been added to Bitcoin’s software over the years: a Linux and Qt user-friendly versions, LevelDB, seeding nodes through IRC and so on. Finally, from version 0.9.0 the software was renamed to Bitcoin Core. So far, the latest update is Bitcoin Core version 0.14.2 released on June 17, 2017. Core developers prefer to consider the Blockchain layer as highly decentralized system that gives them more independence. They also tend to make the software risk averse. A list of all developers who have contributed their code to Core's software over the years can be found here. Thanks to the GitHub repository, any developer can now contribute to the Bitcoin project. Satoshi Nakamoto has claimed to be a Japanese, born on April 5, 1975. But the fact that his Bitcoin documentation hasn’t been published in Japanese and his perfect knowledge of Englishcreated some suspicions among others Bitcoiners. But it’s only one of many possible translations which had been discussed here. Another way to translate it might be “born from the ashes” for Satoshi and “central origin” for Nakamoto, which altogether can be interpreted as “Born from the ashes of centralization.” Of course, these are all guesses, and the name might just have been selected randomly. 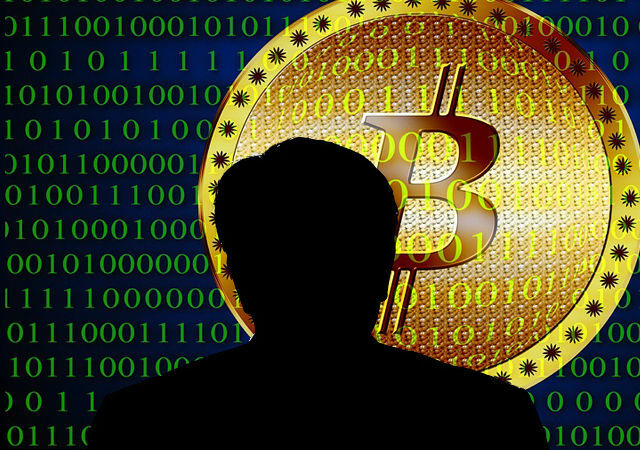 So even now the identity of Bitcoin’s inventor is uncertain: even whether it was “he,” or “she,” or “they.” Some known candidates have been suggested to be Satoshi: Charlie Lee or Hal Finney and Dorian Nakamoto. But there is no definitive proof to any of these suggestions, and the candidates themselves have denied being the real Satoshi. The mystery of the inventor of Bitcoins remains unsolved today, but his cause is continued by the many brilliant developers of the Bitcoin community.